The following blog is by Sophia Bera originally published in her website Gen Y Planning. Ready to be inspired by more people who have taken action to make incredible progress with not only their finances, but their careers and lives, too? Today, I’m bringing you my second Gen Y Planning interview! Recently, I had the opportunity to sit down and chat with Jamie Tardy of Eventual Millionaire – yup, the very same Jaime who was one of my 5 entrepreneurial women tearing it up online. Over the years, Jaime has gone from being $70,000 in debt to running her own business. She and her husband worked hard to pay off their debts in just 16 months (and she was pregnant for part of that time!). Today, her Eventual Millionaire empire includes a website and blog, podcast, and most recently added, a new book. You can grab your copy of The Eventual Millionaire: How Anyone Can Be an Entrepreneur and Successfully Grow Their Startup on Amazon. In our interview, Jaime and I talked about something she’s been seeking to figure out for a long time: the correlation between money and happiness. She’s interviewed over 130 millionaires, and the data she’s gathered has given her a unique understanding of how money can be used as leverage to improve some areas of our lives – but how we earn that money has a big impact on how happy we are. Jaime explains that as we continue with this “ever-evolving process” of understanding what things make us truly happy, we can adjust financially to make sure our spending aligns with our values. In other words, just having lots of money doesn’t equate to instant happiness; we have to prioritize where our money goes. Click on the image below to listen to the interview! I love how Jaime defines what an eventual millionaire really is: someone who does want to get to millionaire status eventually – but wants to do it on their own terms. If you’re ready to be an eventual millionaire, be sure to check out this interview. Afterward, feel free to connect with Jaime on Twitter, read more about the Fridge Sheet, and be sure to check out her regular podcast episodes! 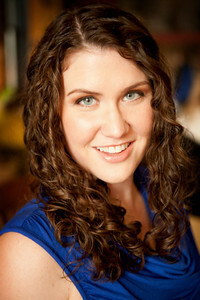 About the author: Sophia Bera, CFP® is the Founder of Gen Y Planning and is a financial planner for Millennials. She’s passionate about helping people in their 20s and 30s across the with their money. She is a contributor for AOL’s Daily Finance website and has been quoted on various websites and publications including Forbes, Business Insider, Yahoo, Money Magazine, InvestmentNews, Financial Advisor magazine, and The Huffington Post. She was named one of the “Top Financial Advisors for Millennials” by the website: www.MoneyUnder30.com. Sophia is a sought after speaker and presenter and is an active member of the Financial Planning Association. In her free time, she enjoys performing as an actor/singer and traveling the world with her husband, Jake. Follow her on Twitter @sophiabera or sign up for the Gen Y Planning Newsletter to stay up to date on financial articles geared towards Millennials. 0 responses on "Featured Blog: Interested in Becoming an Eventual Millionaire? Time to Listen to An Interview with Jaime Tardy"